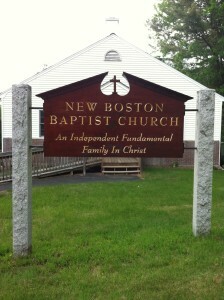 As an independent, fundamental, family in Christ, the mission of New Boston Baptist Church is to proclaim the saving gospel of the cross and to encourage believers to follow and obey the commandments of Jesus Christ. Desiring to be faithful laborers for the worthy Lord of the Harvest, we pray that the fruit of our mission would include reproducing ourselves in other local churches who can reproduce themselves. We determine to pass on the faith once delivered to the saints to the generation that follows us as a faithful witness that is true to the inspired Word of God for the glory of our Savior. We thank the Lord for a blessed Christmas season, full of ministry opportunity and gospel truth. 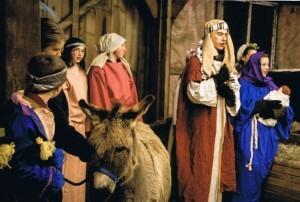 “For unto you is born this day in the city of David, a Savior, who is Christ the Lord” – Luke 2:11. “Hold the Fort,” Jesus is coming! We celebrated Reformation Day at Beth Eden Baptist Church in Fitchburg, MA this year, with sister churches: Trinity Baptist, Fitzwilliam, NH; Charleston Bible, NH; and Mountain View Bible, Dublin, NH. The evening included a multi-church choir and orchestra focused on the hymns of Charles Wesley. Enjoy. 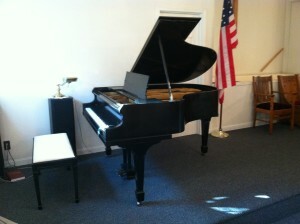 We praise the Lord for the grand sound of a great piano donated to our church this past week. Thank you Vincent and Patricia for your kind generosity. Our desire is to use this beautiful instrument to magnify the name of our precious Savior. 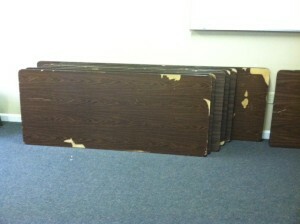 Many thanks to our volunteer moving crew that saved our ministry hundreds of dollars. Jesus said, “Follow Me, and I will make you fishers of men.” We thank Him for blessing our Summer Gospel Meetings with Evangelist Ken Lynch. 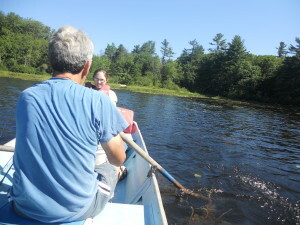 We experienced great preaching, great music, great fellowship, and even some great fishing and eating. 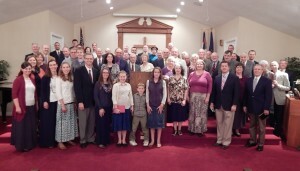 Thanks to all who supported our week of meetings in the cause of Christ. 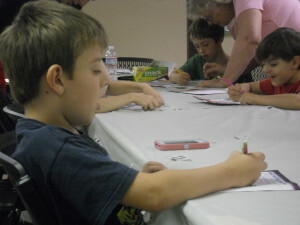 We praise the Lord for a blessed Vacation Bible School this year. A special thanks to those who sent us their children to instruct and minister to throughout the week. The boys and girls learned about God’s plan for Joseph, which resembled in many ways His plan to send His own Son to save us. Our staff did a great job, but we did miss our storyteller of many years, Nonah Poole, who was not well enough to serve this year. 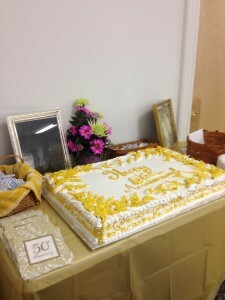 Nonah went home to be with the Lord on the eve of her 76th birthday. We have no time to sport away the hours. How my soul delights to hide. Many of the songs of our Freedom Concert on July 3 were composed by our young people. 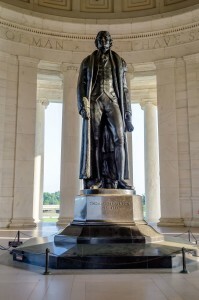 One of those was a new song that honors the heroes of our country enshrined at Arlington National Cemetery. A sign that sparkles once more! Thanks to the many hands of a great work day. For more information on our label, “Independent Fundamental Family in Christ,” visit our Resources page and click on the Introduction link. “Look around, and be distressed; look within, and be depressed; look to Jesus, and be at rest.” –Corrie Ten Boom. “By faith [Moses] forsook Egypt, not fearing the wrath of the king: for he endured, as seeing him who is invisible” (Heb. 11:27). 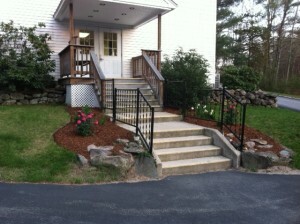 Some beautiful new flowerbeds adorning our back entrance. 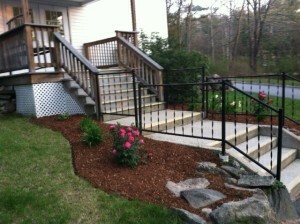 Thanks for all the hard work Sue, Maisy, and John! 2 Timothy 2:3-4 – “Thou therefore endure hardness, as a good soldier of Jesus Christ. 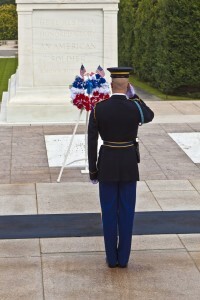 No man that warreth entangleth himself with the affairs of this life; that he may please him who hath chosen him to be a soldier.” The Sentinel’s Creed of the Tomb of the Unknown Soldier is instructive to us who are sentinels of the Empty Tomb of the Lord of Glory. 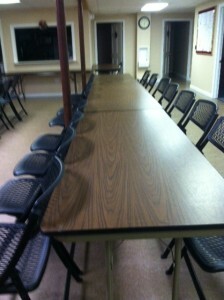 Eight new (used) tables donated to the church to replace our water-damaged set. Praise the Lord for His provision. 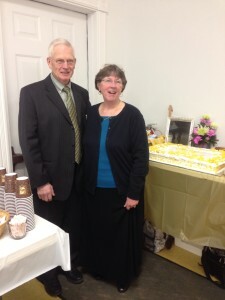 Congratulations Wayne and Sandy on 50 years of marriage! 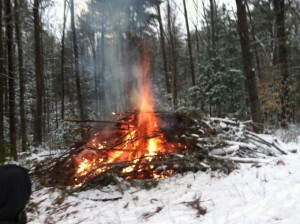 Burn pile going up in smoke! Thanks Joe, Katie, and Isaac. Genesis 1:22-23 – “And God blessed them, saying, Be fruitful, and multiply, and fill the waters in the seas, and let fowl multiply in the earth. And the evening and the morning were the fifth day.” The amazing hummingbird points to his Creator.